At GeoData, we are always on the hunt for relevant data to include on our property reports. Most recently we teamed up with HowLoud Inc., a Los Angeles based company that has mapped the entire country determining the property noise levels of individual locations. 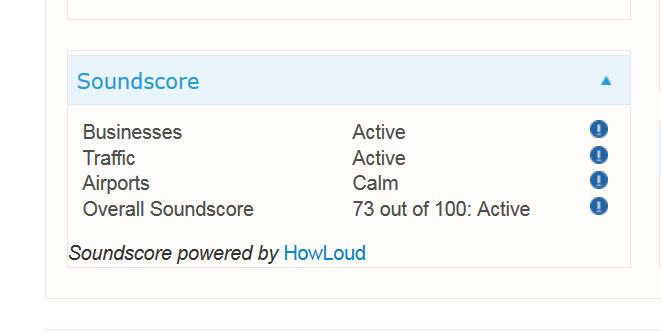 These noise levels are then aggregated into a single Soundscore that ranges from a score of 50 (very loud) to 100 (very quiet). To see how the Soundscore has been integrated into a GeoData property report for a particular real estate market, just bring up any property in New York or New Jersey–Soundscore will be listed for you in addition to all of the valuable property data that we provide.